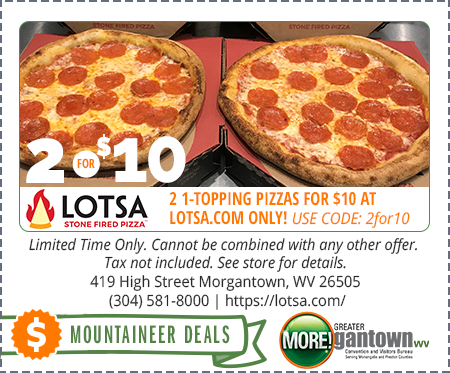 2 1-Topping Pizzas for $10 at Lotsa.com Only! Use Code: 2for10 Limited Time Only. Cannot be combined with any other offer. Tax not included. See store for details.